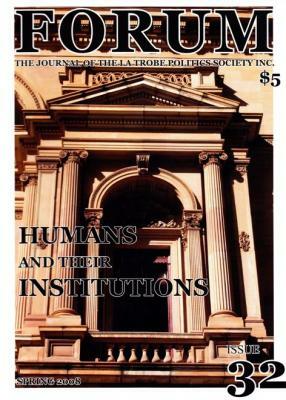 Joseph Camilleri played a key role in the establishment of the la Trobe Politics Society. 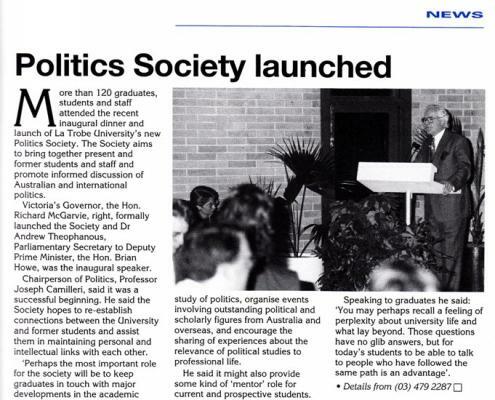 It was formed in 1993 to bring together current and former students and staff with an interest in Politics and promote informed discussion of key issues in Australian and International politics. 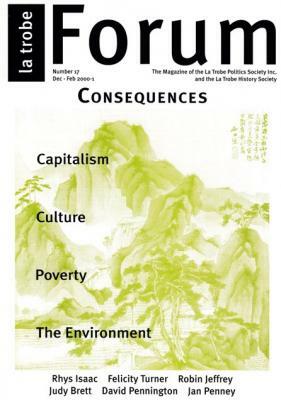 It subsequently merged with the La Trobe International Relations Association formed in 2007.